(Stillness in the Storm Editor) The below article implies that Podesta called for Seth Rich to be made an example of, as a response to events that took place in 2016. But this implication is not valid as the email cited by Podesta was from 2015. While it seems that Rich was, in fact, made an example of, the headline of this article is somewhat misleading, hence this clarifying statement. (Baxter Dmitry) John Podesta threatened to “make an example” of Seth Rich according to a grisly Podesta email published by WikiLeaks – and brand new evidence has all but confirmed Seth Rich’s murder was a political assassination ordered by the Democratic National Committee. Speaking to Fox 5 DC, Rod Wheeler, a former D.C. police homicide detective, confirmed there is “tangible evidence” Seth Rich was dealing with WikiLeaks before he was murdered. WikiLeaks tweeted a link to John Podesta’s disturbing email, which takes on an even grislier aspect after Fox 5’s news regarding the detective’s confirmation that Seth Rich’s murder was a political assassination. As well as exposing the DNC as the kind of organization that punishes people based on suspicion alone, the question of what “beyond internal discipline” means is raised – and in light of recent revelations the answers are grim. They will be more concerned after the confirmation that the DNC is the kind of organization that “makes examples” of staffers they are suspicious about. John Podesta, Hillary Clinton and the DNC went too far in assassinating Seth Rich. The internet has mobilized in his honor. The story has become too big for mainstream media to suppress. 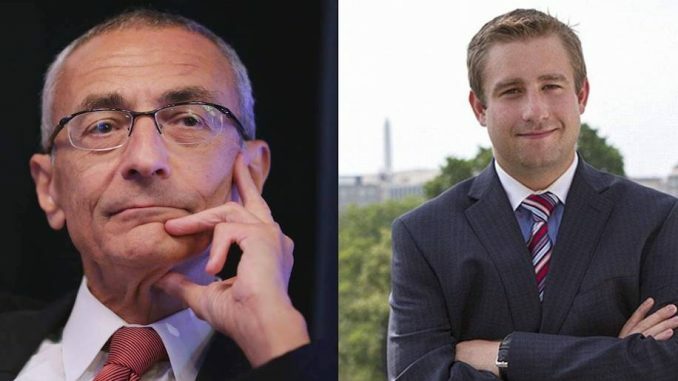 With a trail of breadcrumbs in the Podesta emails, and now private detective Rod Wheeler’s discoveries tying Seth Rich to WikiLeaks, the lid is about to be blown off the corrupt Democrat Washington D.C. establishment. The full incriminating email chain can be read here.